Slots Magic Online Casino first opened its virtual casino doors in 2014. But, in fact, Slots Magic has been around for longer than that as it is actually Jackpot Party rebranded. Slots Magic got its facelift and change of name when there was a change of ownership of the site in early 2014, from well-known WMS to new owner SkillOnNet. Jackpot Party was a favourite online casino for many players, so there was much-heated anticipation to see what Slots Magic had in store. 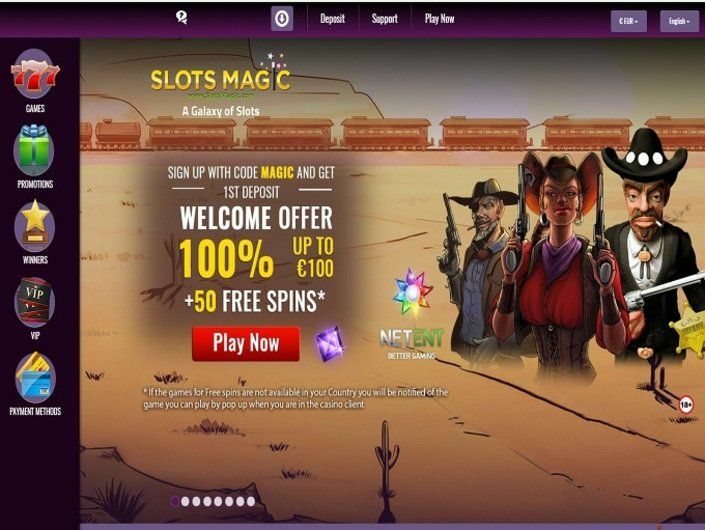 The Slots magic site is predominantly purple and gold and displays a range of fun characters. Slots Magic has become known for its unique selection of online games, often handpicked from up and coming software providers, as well as their ease of mobile play. 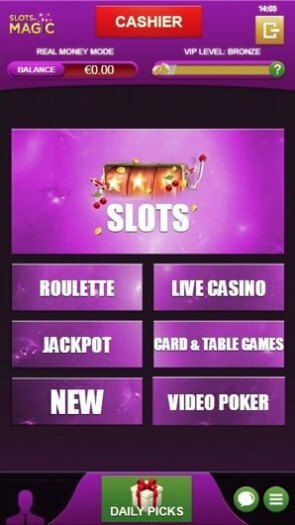 Slots Magic’s new site and games on offer have not let Jackpot Party fans down if anything they have been given something fresh and exciting to enjoy. 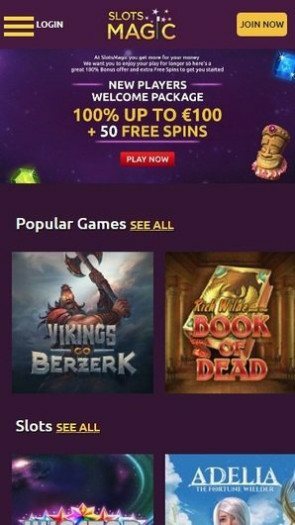 The Welcome/ First Deposit Bonus – Slots Magic promotions have really outdone themselves here in providing their new customers with potentially endless winnings. Upon signing up with Slots Magic, you are given spins for a year! When you make that first deposit, you gain expect Slots Magic to match your deposit 100%, on any amount you decide to deposit up to €100. And just to make sure the deal is sweet, an extra 50 free spins have been thrown in for you to use at your leisure. The bonus code you can use to receive this epic offer is ‘MAGIC’. Tournaments – Slots Magic offers their new and returning players the opportunity to take place in tournaments each month. This involves signing up to play a certain game against other players and whoever has the most points at the end of the tournament wins. Some of the prizes in one of Slots Magic’s recent tournaments included €1,500 in real money, free spins, iPhone 7 and a MacBook Pro. Daily Picks – Slots Magic brings excitement to every day by giving you Daily Picks Bonuses that consist of free spins, deposit matches, and special offers. Some relate to specific games while others are more general and they are updated and changed all the time to keep things interesting every day. VIP packages – If you decide that you want some preferential treatment and even more offers, why not sign up to be a VIP and gain access to the VIP lounge? VIP players can make use of the special VIP lounge where they’ll get given exclusive offers and gain points on a VIP points system. The more points you gain, the more you progress through the VIP levels. Points can also directly correlate to prizes, and at certain levels, you can withdraw the points as cash. 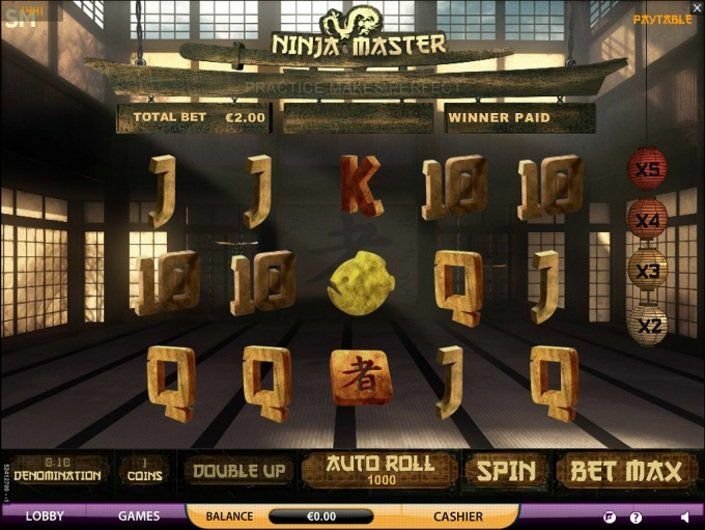 Slots Magic, as can be guessed by its name, has a focus on slot games in its game selection. The slots at Slots Magic come in all shapes and sizes. There are your classic and much-loved retro fruit machines, with 3 reels and 5 paylines and then there are your brand new, modern slot games with 3D graphics and dozens of paylines, not to mention riddled with special features. Slots Magic can offer so many slots because it has several software providers, from which they handpick the best games they have to offer. There are over 600 slot games in its repertoire, and the collection would not be complete without at least a few progressive jackpot slot games. Progressive jackpot games are games that have massive, pooled jackpots that can continually increase as more people play the game and can reach staggering amounts. While it might take some time for the progressive jackpot to be won, it is well worth the weight as the prize can be massive! But even though Slots Magic loves its slots, there is still room for table and casino games too. There are at least a few different variants of blackjack, craps, roulette, baccarat, poker, casino war, and punto banko. Video poker has even more variants than the others because of its recent rise in popularity. 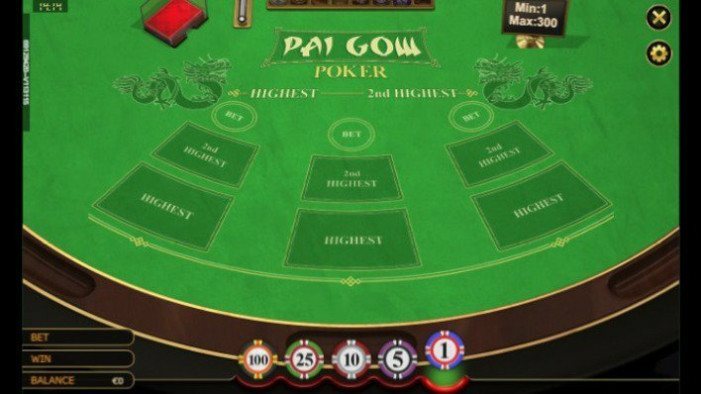 There are also live casino games, where you can play against other Slots Magic players and even get to interact with the dealer in real time. Live games are a lot of fun and give you the feeling of being in an actual casino as you place your bets! Slots Magic is owned by SkillOnNet, so they are the site’s primary software provider and provide the site with many of its most popular games. But Slots Magic still makes use of the software providers. Some of them are exceptionally well-known such as Microgaming and NetEnt and NextGen, while others are smaller brands that supply unique and interesting games such as Amaya, Bally, and Merkur. The fact that Slots Magic has so many software providers on board is a good sign that they have a wide game variety. No software needs to be downloaded in order to play Slots Magic games, but if you would like to download the software, the option is available. The alternative option is to make use of the instant play which requires Flash, with this option you can play in your browser so long as it is updated and you have a fairly strong internet connection. Credit Cards- The credit cards that are accepted at Slots Magic are Visa and MasterCard. Credit card is probably Slots Magic’s most popular method as it is one that has been around for years and that people are familiar with. It requires you to enter your credit card details, which must correlate to your name, and then the payment is processed swiftly. Wire Transfer- This is another payment method that has stood the test of time This method requires you to have a bank account and internet banking in order to make the wire transfer online. Although this is a popular method, it is certainly not the quickest and can take a few days to process as opposed to all the other methods which are instantaneous. E-wallets- E-wallets provide the fastest transaction times and also offer low fees and minimal admin. It’s small wonder that they have gained major popularity. The two e-wallets that Slots Magic accepts are Neteller and Skrill. Both are well respected and trusted brands. Voucher Cards- Voucher cards are a relatively new phenomenon and work by loading the card with whichever method you feel comfortable and then redeeming the card at Slots Magic. It is seen as very safe as no financial details are passed on. Paysafe cards are the voucher cards that Slots Magic accepts. Withdrawals are just as important as deposits, and most of the deposit methods can be used as withdrawal methods too. The withdrawals that happen within minutes are Neteller, Skrill, and EcoPayz while the others can take a bit longer. Having strict security measures is something that Slots Magic takes seriously. Slots Magic has a strict policy in place to ensure that your sensitive information stays solely between you and the casino, with no third parties being able to access it.  To do this, they use 128-bit SSL encryption, which is one of the most trusted methods available worldwide. You can rest assured that all Slots Magic games are safe and fair as they regularly undergo audits facilitated by iTech. These audits ensure that Slots Magic is using RNGs (Random Number Generators), which they do and confirm that their games are completely random and fair. Slots Magic is a totally legitimate casino, and it gained its license from the Malta Gaming Authority when it was issued in 2011, and it was re-issued more recently in 2016. Slots Magic, furthermore is accredited by CasinoMeister. CasinoMeister is advocates of fair play and is an esteemed online casino authority that only gives their seal of approval to the most deserving casinos. If you have a question that needs answering that you think may be quite a common problem, you can have a look at the FAQs on the ‘Help’ page. Here you will find informative and detailed explanations to some of the questions you may find yourself with when playing at Slots Magic. While there is no live chat option for getting hold of a support staff member, there are other options. These options include calling and emailing. The call center team works around the clock, and the number you can contact them on is +44 20-3150-0852. If you’d prefer to communicate via email, you can do so by emailing your query to support@slotsmagic.com. Here you can get a response in almost any language, but the support team is predominantly English, and questions in English are usually answered faster. Slots Magic prides itself on its mobile play. The mobile site is absolutely stunning and is easy to navigate on all smartphones. The site is slightly simpler than the PC version, making straightforward to find what you’re looking for. Almost every single one of Slots Magic’s games is available to play on mobile devices which include, iPhones, tablets, Android and Windows phones. Players don’t need to download any software. 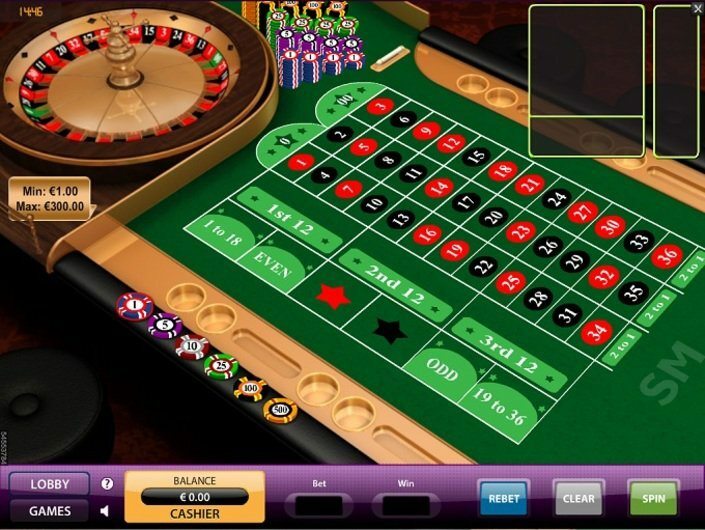 Slots Magic mobile games run on the HTML5 platform, which means you can play online without having to use any apps. All you need is an updated browser and a smartphone to start playing your favourite games on the go from your mobile device. Many different banking options with quick withdrawal times and speedy deposits. Slots Magic certainly hasn’t let its predecessor, Jackpot Party, down in this new and innovative site. They have certainly kept the ‘party’ side of things alive by making sure that the Slots Magic site screams fun! What could be more fun than a myriad of slot games, table games and of course the exciting Slots Magic bonuses! This Slots Magic review proved that the relatively new online casino has covered a lot of ground since 2014 when it first opened. They are already linked to some of the best brands around and have accredited by some of the most trustworthy sources. Slots Magic is a great choice of casino for players in UK, Europe and abroad! While the site is predominantly aimed at English speakers, it offers assistance and games in other languages as well, and its doors are open to players from around the world with the small exceptions of a few nations. Yes, indeed in tournaments you can win much more money than if you just play the usual slots !! a wonderful selection of tournaments and in general the casino makes a pleasant impression with plenty of bonuses and special payments to the ne players!! I'm very escited ab this gamefield!!! The automatic deposit bonus is limited to no more than €250 per month and €2000 more than the lifetime of your account. i've chose this casino coz of plenty of tournaments and ability to join any f them! of course they gave me a welcoming bonus after registration and it was also nice! 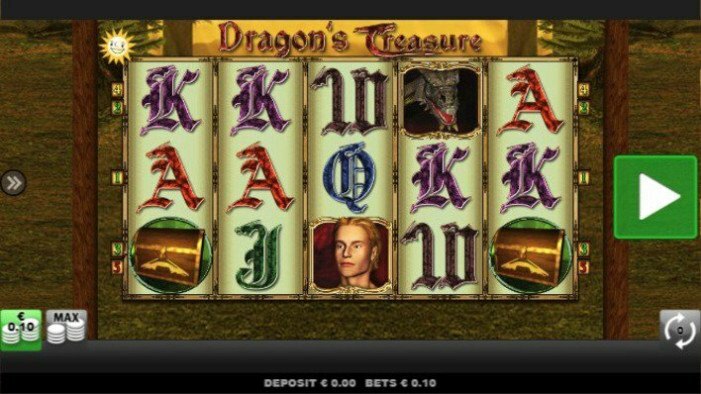 interface is not splendid but it;s ok for an online casino - easible menu and stuff...so i mostly enjoy playing here !